At Hunters Edge, our camps are all about learning and having fun! We offer 7 weeks of Summer camp as well as camps during Thanksgiving & Christmas Break. Each camp week will be both regular camp and Boot Camp (for intermediate to advanced riders) unless otherwise noted. Boot Camp is a great way to get ready for showing. Boot Camps at HES run along the same time as the other camp dates. These are a more advanced, and intense programs than the regular Summer Camp. Boot Camps will focus on rider improvement in areas that are determined to need progress. Summer Camps at HES are a fun way for kids to meet people who share their same love. 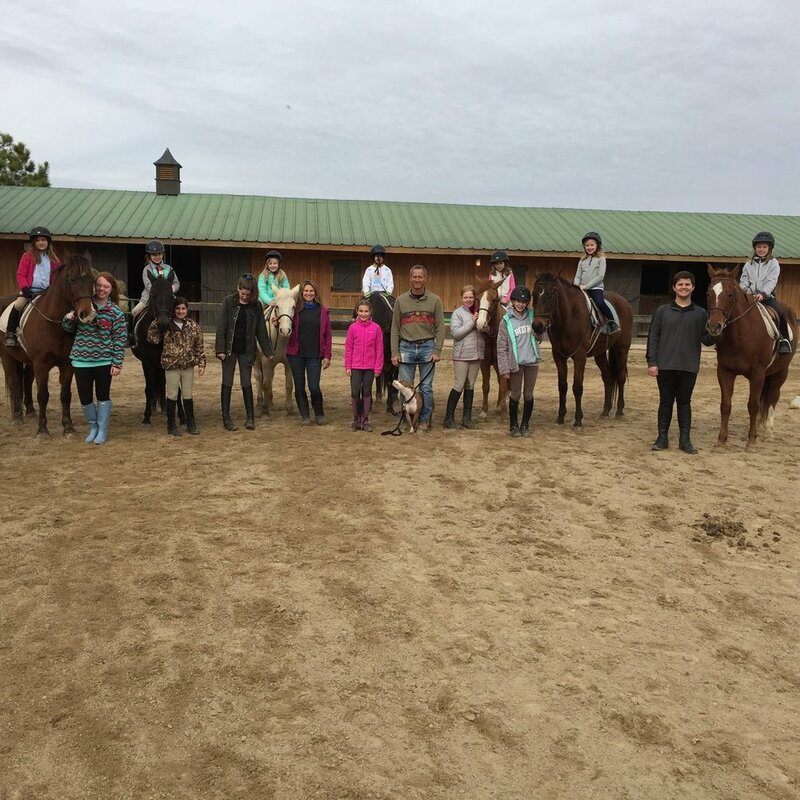 Also, Summer Camp provides a starting foundation for kids to gain confidence around horses. With the Holidays soon to be ahead of us, our suite of End-of-Year Camps are a superb way to give you the proper amount of time to shop and plan while your kids are having an exciting time at HES.